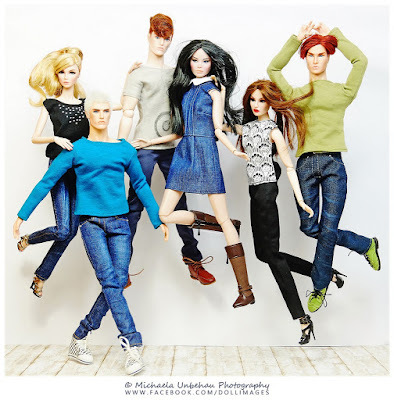 It's Creative Doll Collector feature time and for this post I have interviewed the super talented doll photographer, and should I say, stylist, Michaela Unbehau of Michaela Unbehau Photography. A quick background as to why I chose her to be my first feature: Michaela and I pretty much started getting ourselves lulled into the world of adult-phase doll collecting during the same year. We bought our dolls in 2010, and started setting a goal in 2011. As a matter of fact, Michaela was my fourth Etsy client back in January of 2012! And the rest is history, of course. So, without further ado, here's our little interview =) Enjoy. 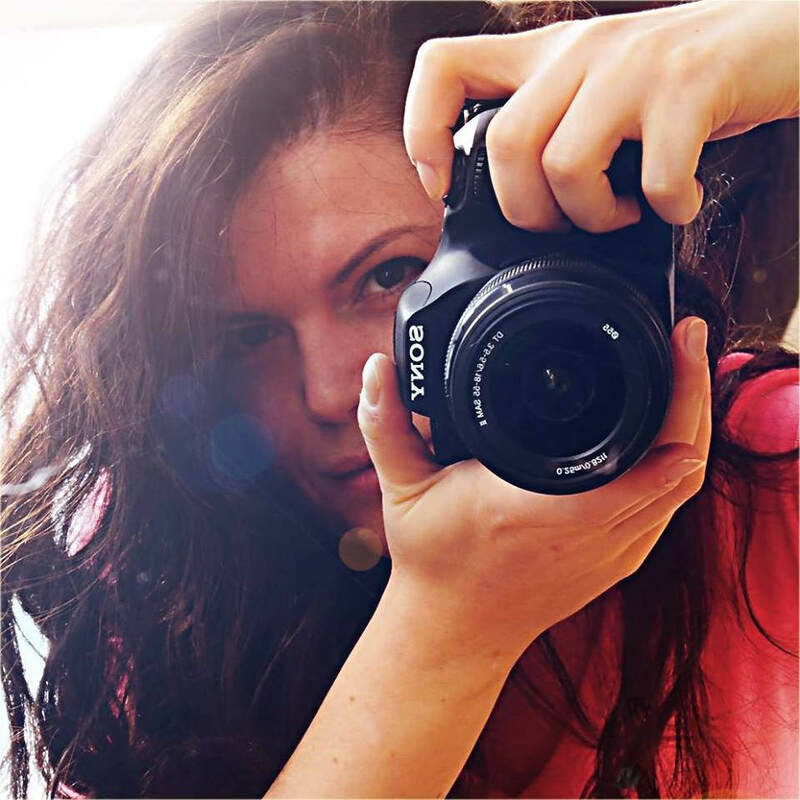 Please tell us a bit about the person behind Michaela Unbehau Photography. What can I tell... I'm a 32 year-old woman from Germany. I live together with my man, a cat, a dog and approximately 160 dolls here in Gotha. 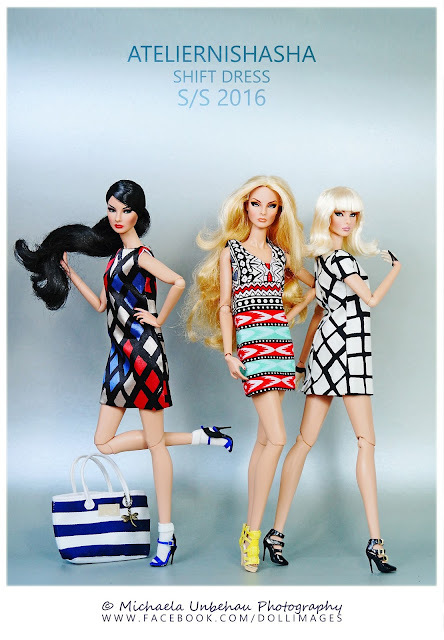 I bought my first fashion doll (Integrity Toys Fashion Royalty Veronique Perrin) in 2010. In 2011, I started to photograph them. And from this moment, photography became my number one hobby and passion. For me, both the photo and fashion are more important than the doll, but it is also very important that the doll should fit the concept. If you have a dream home, where would you want to build it? I don't have a dream place for my home. I would like to visit some countries, of course, but I want to live where my man is. I'm together with him for now almost 14 years now, so where he is is where I want to be. What’s on your work-in-progress table? I don't really have a to do list or a work-in-progress table. But once new Fashion Doll Quarterly themes are choosen, I start to think about what I can do for each issue. Aside from doll photography, what are your other interests? I love to read. Each week, I read about 2-3 books (watching TV bores me). I love exploring nature and photographing my pets. How long have you been shooting dolls, and what got you started with it? I took my first doll picture in 2011 and opened my Flickr Account to share them with all the other doll lovers. My photography style? Well, I don't think I have a special style, or what do you think? I like to shoot them outside, or in the studio. Clean with no props, or in a diorama with tons of decorative items. How and when do you get inspired to create such beautiful pictures? The inspiration comes from the fashion and the doll. I'm a sucker of handmade doll fashions and accessories. Really, I can't get enough of this, if you could see my doll wardrobe you couldn't believe how many pieces I have. I can hardly separate myself from these things, especially when they are handmade. These pieces are treasures for me and I hold them in honor. But of course I like to see the editorials from Voque, Elle and other Fashion Magazines. I adore the works of Kristian Schuller, he is my favorite photographer. I wish I would be as good as he is. Do you have a favorite doll model/s to shoot? Who is it/are they, and why? From Integrity Toys, I like Elise, Giselle, Eugenia, Vanessa, Agnes and the new Erin. And I love all my Kingdom Dolls so much, they are just perfect in every incarnation. From Mattel, I adore the Louboutin mold the most. Can you pick some of the most favorite photos you took and why you like them a lot? Yay! Poppy in an atelierniSHASHA creation! Woot! What is your dream doll photoshoot? I would love to have a DeMuse and Pidgin doll. Indoor or outdoor photography? Why? I like both, but if I could, I would do outdoor shoots more. I like to see them in natural light. What basic equipment do you use in your indoor or diorama shots? I have a Sony Alpha 58 camera, and I use at least 2 large studio lights with reflector shields. What is your state of mind when you take those stunning outdoor photos of dolls against nature? I think basically not much while photographing, it relaxes me and makes me forget the everyday. The only thing that matters is taking a pretty picture. Any favorite doll photographer, or two? Why do you like him/her/them? Ok, there are a few. I like Ryan Liang and Rocco Liang for their minimalist style. Amber (APPark) for their absolutely awesome dioramas and styling. And I love the work of Stacy Leigh, just look at her photos and you'll know why. 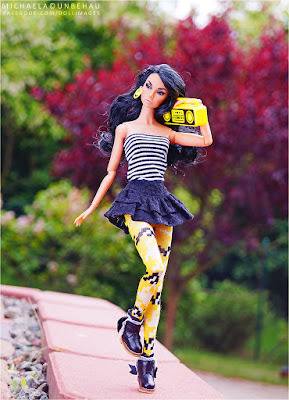 Is doll photography currently just a hobby for you? Are you likely to pursue a photography-related career in the future? It is and will always be my hobby. Sure, it would be great to do this professionally, but I'm not a professional photographer, just a self-taught one. You’ve been published numerous times, can you tell us which are your most favorite features and why? I like the Kingdom Doll Chaucer Portfolio in the Fashion Doll Quarterly Autumn 2015 Issue or the Designer Portrait Series in the current issues. And I'm proud of my two Tonner Doll prestige spreads in Haute Doll magazine. How do you see doll photography 5 years from now? I have no Idea... I let myself be surprised. Any tips you can give novice DIY doll photographers like us on how to improve this craft? I never use the camera flash for my photos so that the hair and face don't shine unnaturally. Anything else you would like to say that may not be doll-related? Firstly, I wanna say thank you to you, Shanon, for this lovely interview and for your support all these years. And of course to all the people who like my photography and the warm words and comments they leave me. Without you guys I'm nothing, so thank you! 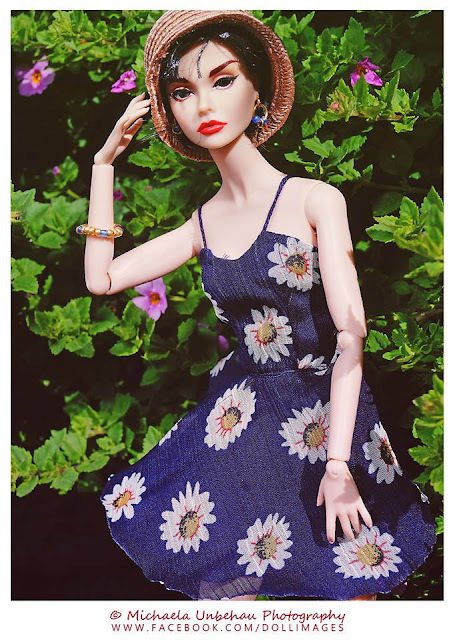 At least, I wanna say thank you to Patricia Henry for the opportunity to show my pictures in the glossy pages of Fashion Doll Quarterly Magazine. ... And that was the end of our interview with Michaela. Big thanks to you as well, Michaela for giving us your time, a bit of yourself and your talent, for us to enjoy and get inspiration from. We will surely be looking forward to seeing more of your beautiful doll photographs in the future. If I may, I'd also like to share Michaela's recent photos of my latest SHIFT dress collection. I'm just so honored to be given such an opportunity to collaborate with this talented lady. Lovely interview! Michaela is a very talented photographer. I am often jealous of her beautiful photos. 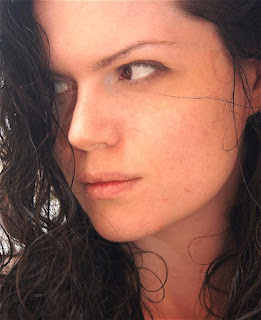 I follow her on Flickr and am always amazed at how she brings a doll to life! Beautiful!! I love your shift dresses! They are very pretty! Thank you so so much, Georgia Girl... Mwah!